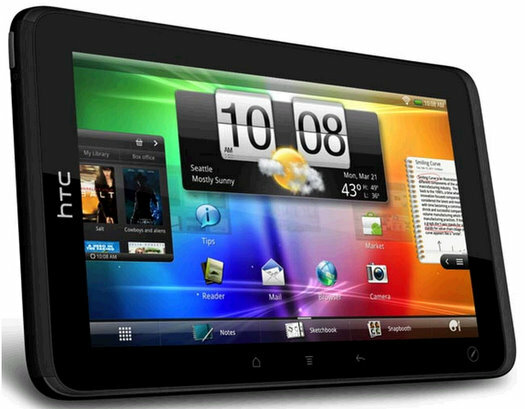 Sprint just launched the HTC Evo View Android tablet that is their first tablet enabled to run on the new 4G “Wi-Max” network, and is also the first Android tablet capable of running Netflix. The only downside to this story is that the Evo Android tablet is running Android 2.3 (Gingerbread) and not Honeycomb, which is the tablet optimized OS. Sprint does say that an update will be available for HTC Evo 4G tablet owners when Honeycomb does come available. However, this is a reflection of Android’s fragmentation problem. With different versions of the Android OS on the market, and all without any consistency, the video streaming services have been slow to adopt the Android OS. The biggest fear from services like Netflix is the lack of control over keeping people from ripping and burning videos illegally. Regardless, Sprint is once again capturing media attention with being the first carrier to launch an Android tablet on the 4G WiMax network and bring Netflix to the tablet.